A bridge between Worlds. Witnessing life and death. By Lucy Coleman, MD. How to describe the feeling of witnessing what I call “the bridge” between dimensions and realizing that feeling was always there, waiting to be explored further and understood in a deeper spiritual sense. The feeling is unimaginable. And this was my experience. I am a doctor, specialist in Reproductive Medicine, a scientist, a former believer that everything could be demonstrated, even the things that have not being demonstrated yet, because their time to be demonstrated it is about to come. Now I know everything has a time. I dedicated my entire life to science and medicine, believing that science had most of the answers. And most times found the explanation I was looking for, because it seemed they had the correct and scientific logic for most of the phenomena occurred in nature. My beliefs were that we had all the tools to find answers, explanations, reasons and logic. That was a fact until now, because realized I was far from being right. And the true was about to come to me. For some reason it was shown to me. In Reproductive Medicine most events are amazing. From the beginning of the formation of each gamete, to the fertilization of the eggs, developing of the embryo, division, implantation, growing of the fetus, birth, every event is amazing. Research in this field had shown science is capable to find answers for most of the events happening during each step, and even go further to find explanations to events that before were unexplained. Scientist and observers have been looking at these events during centuries. Since the 14th century, scientists were looking the sperm freezing, but it was not until the 20th century that we developed ways of freezing and thaw sperm in a way that the technique does not affect the sperm capacity of fertilization. I can keep going non-stop writing about every single phenomenon our nature is showing us in Reproduction. This happens because I love what I do. I love it so much that I decided to dedicate most of my life to help people to conceive. It has been a long path, exhausting sometimes, and very challenging. But I simply love it. The number of people unable to conceive naturally has been increasing exponentially, especially in the last 10 years. The reason? We do not know yet, although we have some presumptions based on evidence. A few years ago I made a big change in my life and decided to pursue my passion for fertility. We created a team and started working with several patients who needed help to conceive. It was challenging, and led me to discover the things I’ve discovered today. I started to have more questions to events that were difficult to explain with words. Still difficult to explain them today. “What else could we do?” That question kept going through my head for months. We had medical meetings, with doctors having many more years of experience than myself, and we could not find the right answers, or even the ones that would give the patient a light of hope during the procedure. I was restless, determined to know. I was not used to dream, not even day dreaming, because logic was a fundamental brick in my conception of life. For me, subjectivity was kind of a waste of my time. I wanted the scientific answers. Being a physician and a fundamentalist scientific mind, it is not easy for me to write this. Actually it took me years to make the decision to write about it. And I am doing it now because I believe it is time. The embryology laboratory is a sacred space for me as I am sure it is for most of my embryologist’s colleagues. It is the place where life starts its purpose and the place where life can end. Embryologists are able to witness the marvelous creation of human embryos and their behavior during the whole process of division, when they are in the incubators and need to be manipulated, either to change dishes or to prepare them for the journey of going back to the endometrium (part of the uterus), for them to complete their job of implantation and growing. It is a very interesting place to work. And, as I mentioned before, I love it. Going to work, for me, is an adventure every day. One day, I started hearing voices in the laboratory. It was impossible to hear voices on a place where I work by myself; the security to enter the place is really tight, and the walls and doors have being designed to maintain the area quiet and clean. The embryology laboratory can be even cleaner and quieter than a surgery theatre. The voices came from everywhere. I turned down the classical music always played when I am working, but the voices kept coming back even louder. I could not understand what they said; it was like a different language. At first I was scared, then I composed myself and began to feel interested in listening better. However, nothing, I could not understand a single word or sentence. It was gibberish for me. I finished and went home. I started to have dreams with real meaning. Dreams with music I never heard before in my life. Voices were singing songs I never heard before. And as a musician it was even hard the fact that I could not recognize any of the instruments played. I had no words to describe it. There were people looking at me with pride, and I felt they were happy to see me. I didn’t know why I could remember the dreams so vividly and with so much detail, and the fact that I was having them in the first place. I started to have severe headaches and even needed to see doctors for my pains. Every diagnose was different, even hydrocephaly and a tumor came into the picture. What was happening to me? I took time off, visited many doctors, and took all the kind of painkillers that could possibly take; however the pain kept coming stronger. I could not work for months. Another dream came. This time there were six old men sitting in chairs on a semi-circle, we were in Stonehenge, and I could recognize it immediately because I used to live in Amesbury just 5 minutes away from it. They were sitting in chairs that were sort of floating around the stones, and told me without words the message I needed to hear: “you are a bridge between worlds and a new generation is coming, we need you to listen better”. I could not help but asking myself: “what is happening here?” Was I going crazy? I was afraid to talk to anyone about it. The news could be as disturbing as the fact that they were coming from me. Because I had a reputation of being pragmatic, practical, logical and sometimes even harsh. None of these dreams sounded real but they were very real to me. 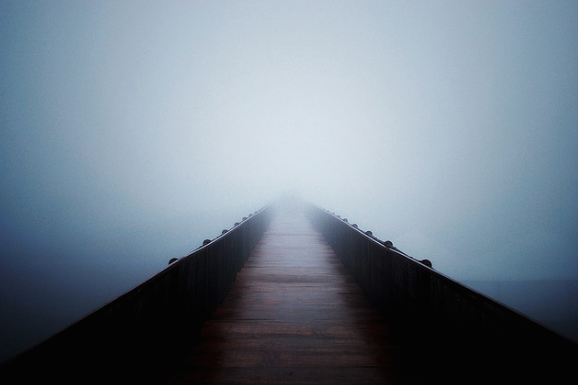 There was a clear message: “A bridge between worlds”. Being in the embryology laboratory is a deep meaningful experience. 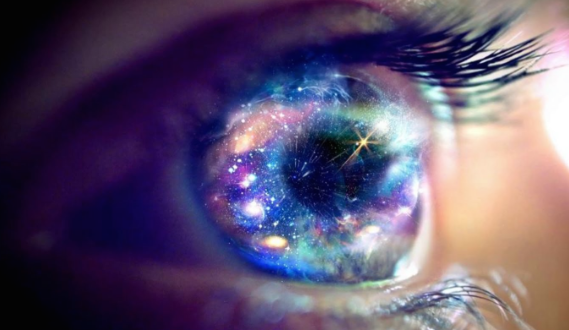 It is the thin and really short connection with the here and now and another dimension containing beings who are prepared to come to this physical world. These beings are communicating, and they have been trying to do so for a very long time. We just were not ready to listen. To make the story short (the unabridged version of this story will be available on my forthcoming book), throughout my process of growth and meditations I came across the following conclusions. Our bodies contain pure energy, this energy is transformed once we die and go to another dimension, dimension we do not know yet. As Albert Einstein once said, energy cannot be created or destroyed; it can only be changed from one form to another. In this dimension we will review our actions, thoughts, inner feelings, experiences, and all the good and bad we did and created in this physical world. To be prepared for this transition we must listen carefully, we must see the signs and the way our spiritual guides are trying to communicate. We have decided our paths long before we were born, the destiny we chose to overcome will happen and we will live it alongside light masters who are dedicated to guide us throughout our physical lifetime, in this way we will vibrate in higher frequencies. Love is the pure energy surrounding everything. That is the real love. And Albert Einstein also said that everything is determined, the beginning as well as the end, by forces over which we have no control. It is determined for insects as well as for the stars. Human beings, vegetables or cosmic dust; we all dance to a mysterious tune, intoned in the distance. When I am inside the embryology laboratory and admire the moment of creation/fertilization, resulting from the union of the egg and the sperm, I can understand how important we all are for this world. The embryos communicate to me in a way I cannot describe, or at least it is really difficult for me to describe it. They are alive and already make their own decisions, I call it “embryo consciousness”, and is possible if we study Kabbalah and understand the deepest of this affirmation in the atomic scale. 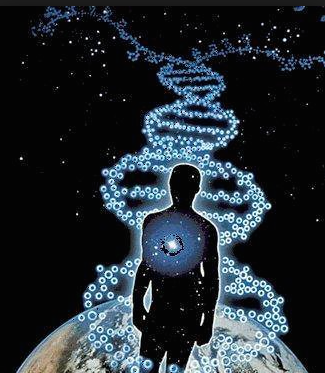 Embryos are composed of atoms and these atoms come with consciousness on them. If they want to divide and continue to live they will do so, if they wish to die they will die, no matter what I do. If they want to die, then will let me know I have to let them go because it is OK, it is not their time yet or their time was meant to be as brief as hours. It is a complex as if we try to understand quantum physics in a brief period of time. They just want to feel inside the cell for a while, even if that cell does not survive. It is a way of learning and gain the experience. Because every time a being comes to the physical plane or physical universe it is a way for them to learn something. 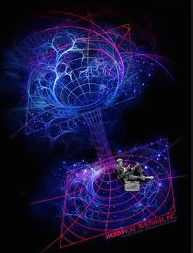 They have control over the quantum universe, that universe we have been not able to understand yet. I can even feel when they wish me to speak or communicate something specific to their parents before the embryo transfer. How can I do that? I don’t know. I have no proof of that. I started to find ways of growing spiritually. I needed more answers to all the things happening. And I knew the answers would come trough spiritual growth. On a dream, I was told to get the book of Bob Olson about the afterlife. To be honest I never heard of him before. I got it and read it all in one day. Most of the answers to my questions where in the book. And it made me realize I was not alone during this quest; other scientists have gone through the same path looking for answers, the same answers. Then I started to meet people who read about different things, spiritual things not related to any particular religion. And fortunately I came across to Reiki. Reiki was the beginning of my discovering. It was the way for me to channel my thoughts and feelings, and to prepare myself for the messages I needed to get. I took Reiki classes with an amazing person, Gretchen Swank; and during the attunement the messages came so clearly that I could see the masters standing in front of me saying: “thank you Lucy, thank you for decide to listen”. Thanks to Reiki I can listen. The communication channel has been cleaned and tuned in a way I can see, feel and hear the messages clearly. Better news, my headaches were gone and I was completely cured. We have had success with many difficult cases in reproduction and fertility. Cases that nobody wants to take because there is no more clinical explanation for their failure. The so called “unexplained infertility”, a term that has been growing lately, because every day there are more and more couples who are so energetically blocked that a fertility procedure is not enough. The body needs to be prepared and energetically ready to receive that life. And those beings that are coming will need much more love, because they decided to come to contribute with this society, on this physical plane, in ways that will improve our world. They have learned so much in another lifetimes that now they wish to use their knowledge to and for our society, because this world needs a change. It has been contaminated with wars, ego, hate, greed, anger, frustration and disappointment; now this is the time of the new era for the change. That is why us, the embryologists, have become a “bridge between worlds”. 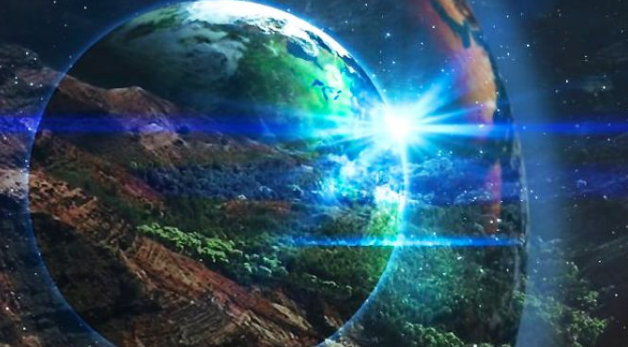 There are many ways they are coming to the world right now, most of them are coming from another civilizations where they lived in constant spiritual growth. Now they need a healthy vessel to live on Earth. Science has developed so fast that genetic engineering is expanding in ways to decode most of the diseases. There are predictive models for the diagnosis of diseases in embryos, even before they are implanted into the uterus. Because of these tools, it is possible for us, the specialists in reproductive medicine, to choose healthy embryos. Those embryos will be disease-free. This was not possible decades ago. Years ago humans were conceived coming with disabilities and diseases, most of them genetically related. I usually say that these clever minds, scientists, explorers, dreamers, are the ones that change our World. However, we cannot live more than 50 o 60 productive years. Getting old is a huge disadvantage, and takes time and effort to develop ideas after certain age. There are so many factors against humans to accomplish their ideas and prove them, and that is one of the many opportunities for science today. I have read many stories about people getting scared with genetic engineers, stem cell researchers, the human embryo researchers; it is sad to see that some people prefer diseases instead of a healthy human, because they are afraid of change. This new population coming to the world will accomplish things that will amaze us in no more than 50 years. This is a new generation that I’d like to call “the extended healthier generation”. They will do great things in this world, they will leave longer and healthier, and they will accomplish in 10 years things that would have taken us 100 years to accomplish. We need to go faster, to explore deeply and to grow inside. That is a secret for a better world and great achievements. I always said that humans should live more than 300 years. Our productive time on earth is too short to do all the things we need to do. In order to leave a good contribution in this world we need more time. However, our bodies are destined to face the ruthless reality of getting old, so we either continue with the artificial intelligence to leave our brain’s content inside a computer, or create a new type of human being, healthier bodies and intelligent. The later is the best solution, in my view, because it provides a body to accomplish the task. And the human race will prevail. When I witness death of embryos in the laboratory, is a sad moment for me. Not easy to witness the death of a cell fighting to divide or to become the best embryo. Some of them wait for me to witness their moment of death, and some of them die when I am not there. Many feelings and thoughts run inside of me when that happens. But I have learned to let go. I learnt every being has chosen their time in this lifetime, and I must accept their will. My duty it is to help the parents to accept that fact also, and that is not an easy task. 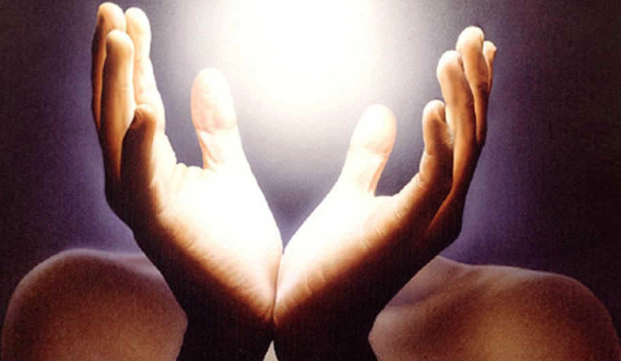 With the help of Reiki I can channel the energy of the patient and also the embryos. Positive and negative energies are constantly moving in balance in the universe. 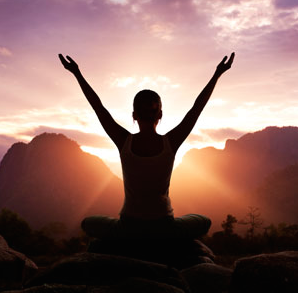 Reiki allowed me to see, hear and feel more clearly, and I have been fulfilled with light and love. And Kabbalah gave me the knowledge to understand why we are here and what is our purpose in this physical plane or physical universe. I now share my story; hoping people understand the purpose of it. For us, scientists, explorers, believers, people who achieved great things in the world, let’s make the difference. I learnt to see, hear and feel and my life was changed. Keep your mind open and your heart will make you listen. The truth of life is actually very simple; it is just hard to see for the first time, until you begin to see. The obvious is that which is never seen until someone expresses it simply. – Khalil Gibran. Previous PostPrevious Thermodynamics and reproduction. Where the energy comes from?